Like fellow TV series The Inbetweeners before it, Bad Education receives the big screen treatment, resulting in an absurdly silly comedy that’s scattered with laughs. Hapless teacher Alfie Wickers (Jack Whitehall) is determined to take his class on an end of term blow out. But when his plans for Las Vegas are scrapped, they head to Cornwall instead, where things quickly take a turn for the chaotic. It’s safe to say that The Bad Education Movie doesn’t anchor itself on a cleverly plotted narrative – the physical comedy, one liners and eager performances (Joanna Scanlan is a particular treat as one of the students’ overbearing mother and Jeremy Irvine pops up) are what makes it. Yet, it’s sharper than expected, and it feels less like a pointlessly expanded episode than a harmless, frequently hilarious film of typically British hijinks. Whitehall, who has come a long way in a relatively short space of time, puts his all in, earning a perfectly serviceable showcase in return. 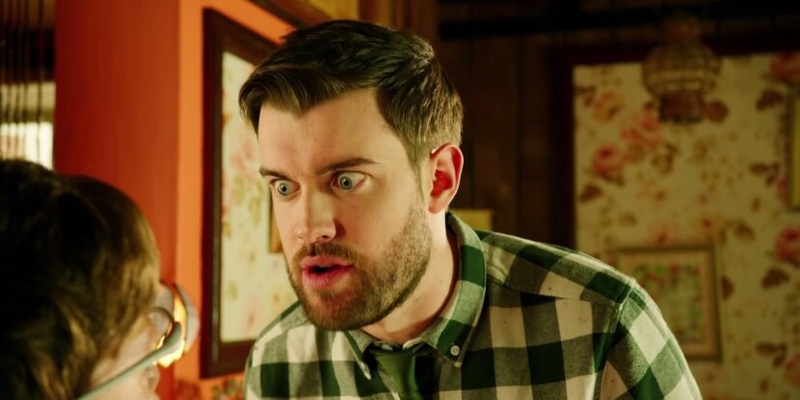 I’ve warmed to Jack Whitehall, but it will be a long time before I sit through an entire film of his. Nice, succinct review though! I was expecting it to be awful. So I was pleasantly surprised. It’s by no means great, but an alright way to spend an hour and a half. It’s utterly harmless.